Delaware County, known in local colloquialism as “Delco”, was so named for the Delaware River, which all of the County’s waterways drain into at some point. The Delaware River itself is perhaps most famous for George Washington’s nocturnal crossing of the river during the American Revolution, when he took the Hessian troops then occupying New Jersey by surprise. Chester City is the home of the MLS soccer team the Philadelphia Union, in addition to the oldest baseball league in the country, the Delco League. Such major sporting events produce vast quantities of waste, including discarded plastic cups, food containers and ticket stubs. Accordingly, the areas surrounding the sites of sporting events often incorporate massive roll-off dumpsters not unlike the roll-off dumpsters often found at construction sites. 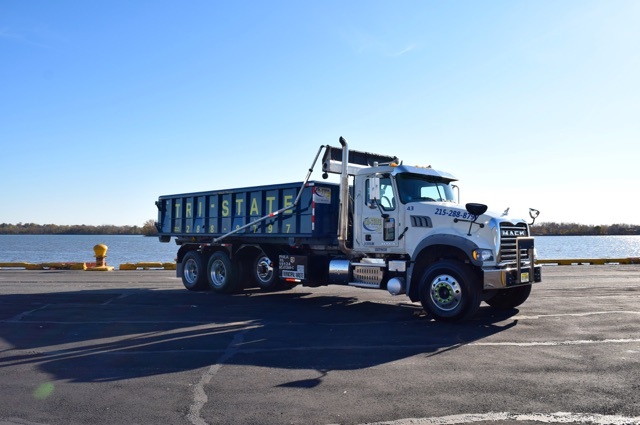 These massive, wheeled dumpsters can measure anywhere from ten to forty cubic yards, and require purpose-built heavy-duty trucks to empty and manage their phenomenal bulk. 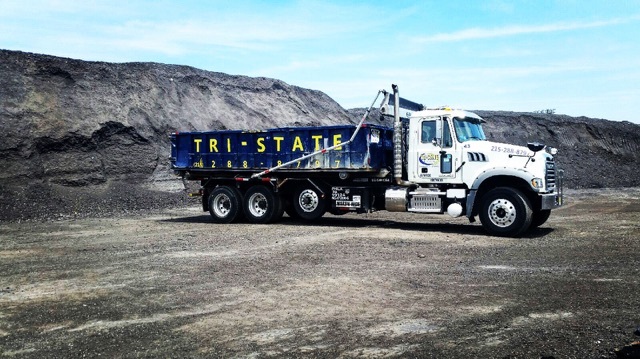 You may be familiar with the distinctive arms on the front of many front-loading dump trucks. Roll-off dumpster trucks require a different beast entirely. 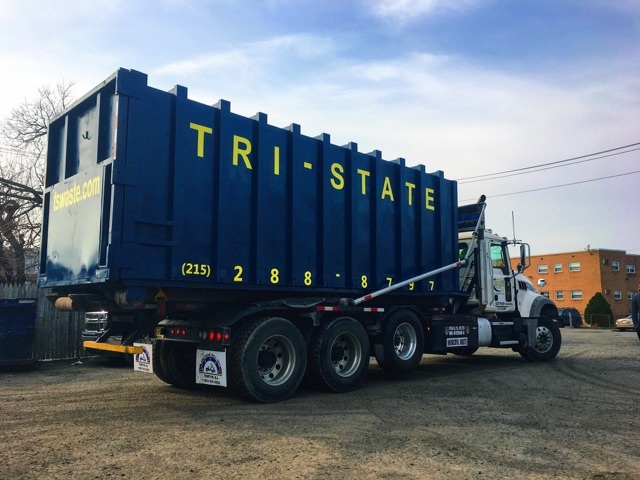 Unlike the hydraulic prongs on typical front-loading dumpster trucks, roll-off dumpsters do exactly as their name suggests, rolling on and off the back of the truck at designated dump sites for emptying and the disposal of their contents. 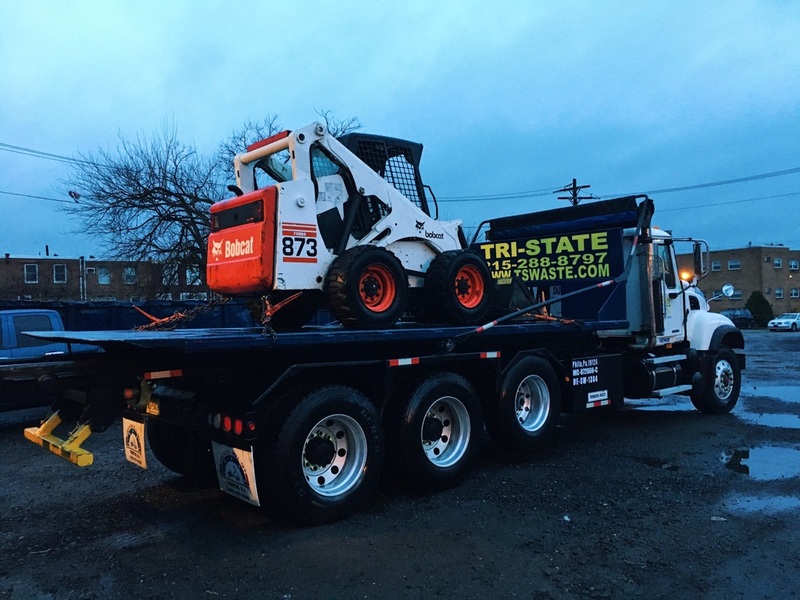 Of course, it would be extremely hazardous to perform this rolling with only gravity to secure the fully loaded dumpster, so the roll-off truck will be used in conjunction with either a winch or a hook-lift system. 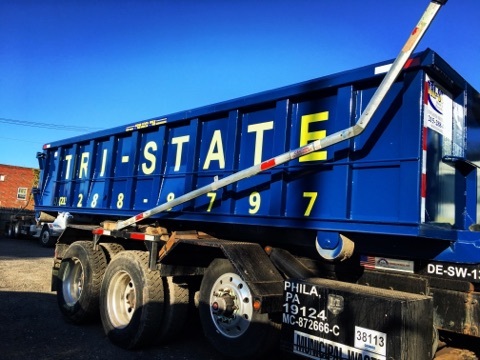 Dumpster rental in Delaware County, however, is not limited to these gargantuan containers, and smaller dumpsters are widespread according to need. Many businesses and schools use standard dumpsters that are emptied on-site weekly as they simply do not produce the volume of waste necessary to justify the use of roll-off. Similarly, house clean outs and yard work, although they frequently produce a significant amount of waste, generally require nothing larger than a twenty-yard dumpster. Bryn Mawr, Welsh for “great hill”, is a relatively affluent neighborhood on Philadelphia’s Main Line. With a population nearing four thousand, Bryn Mawr’s waste management and dumpster rental system is primarily geared toward the needs of its residential population, so dumpsters measuring twenty yards or fewer are commonplace. Havertown, although it was founded by Welsh Quakers, is today known for its large Irish-American population, who refer to the area in jest as the “thirty-third Irish county”. For a long time, Havertown’s wood industry required large industrial dumpsters to accommodate the amount of wood waste produced at the area’s local factories. 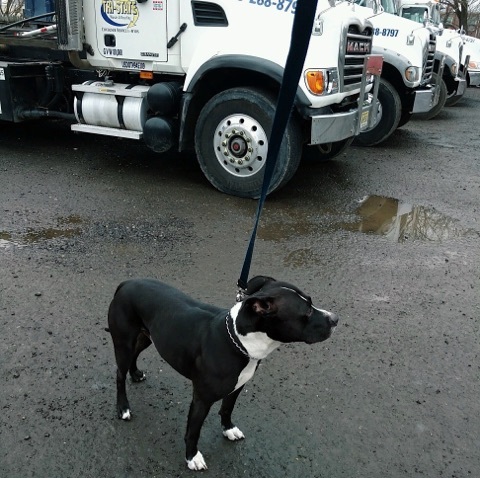 Because much of the ground in Pennsylvania, like that of the other thirty-two counties, is soft and saturated, heavy dumpsters must not be loaded onto dirt, and should always be on a hard, impregnable surface. Wayne’s bustling business district, centered at the intersection of Wayne Avenue and Lancaster Avenue, features numerous amenities including a post office, school, restaurants, bars, cafés and other commercial interests. The restaurants and bars in particular tend to rent smaller ninety-five gallon dumpsters to handle their waste, although they may need bigger dumpsters in the event of renovations or moving premises. Because Chester is at a relatively low elevation, it enjoys a humid subtropical climate, which means that dumpsters are emptied as quickly as possible to avoid rapid decomposition and festering. However, construction and office clearing projects do not risk decomposition, so eight-foot tall forty-yard dumpsters are useful throughout the year. Drexel Hill, initially founded by Swedish colonists, is often cited as the birthplace of the iconic American log cabin, which was introduced by Swedes and quickly copied by other European colonists across the United States. Dumpster rental in this relatively affluent area tends to accommodate the needs of medium-sized households, which demand dumpsters of twenty yards at minimum. Yeadon, once upon a time, was part of the New Sweden colony, but is named for a town in West Yorkshire, England. 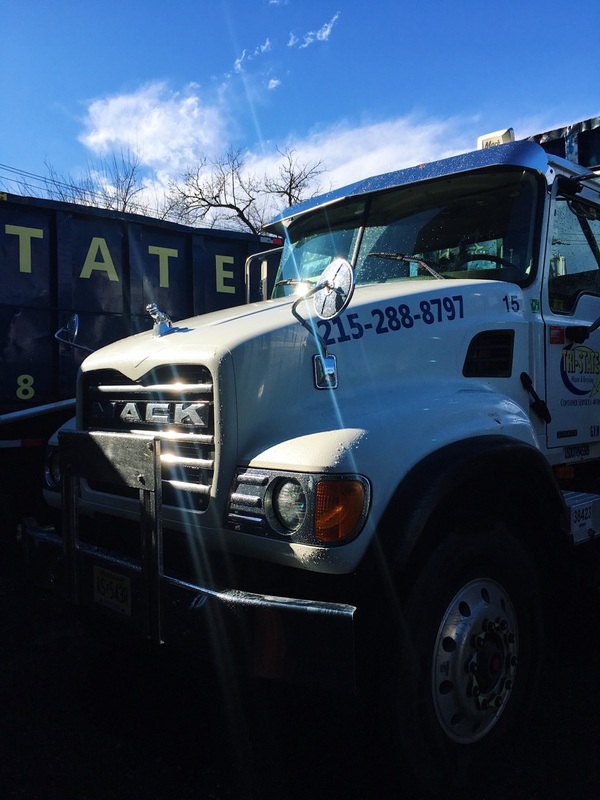 The local economy is primarily located in downtown Yeadon, where ten-yard and twelve-yard dumpsters are commonly used to handle roofing, flooring and other minor projects.